Notes: 2016-11-18: Added to 40-man roster. 2017-11-03: Removed from 40-man roster, claimed by White Sox. 2016 Stohs Prospect Handbook Profile: The South Carolina native was drafted by the Phillies in the 19th round in 2010 but instead went to Georgia Tech. He was a three year starter and hit at least a dozen homers every year. 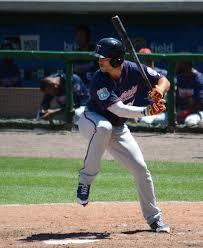 Following his junior season, he was selected in the 3rd round (88th overall) by the Arizona Diamondbacks. He spent that season in the rookie leagues. In 2014, he spent the year in the Midwest League, with South Bend. He hit .248/.332/.466 (.798) with 23 doubles and 22 homers.At 6-3 and 225 pounds, Palka has average speed but is a good base runner. He has very good power, though he will strike out a lot. He has homer power to all fields. Defensively, he has played mostly at first base, but quite a bit in right field as well.